The Neustadt lies between the airport and the Weser River in the south of Bremen. The cityscape here is marked by Old-Bremen houses, especially in the sections of Buntentor, Südervorstadt, Alte Neustadt, and Neustadt. You’ll also find lively shopping streets and alternative cultural offerings, well beloved by the locals. Quieter, but still lovely residential areas can be found in Hohentor and Huckelriede, while in the section of Neuenland the airport and lots of companies are located. Nature on your doorstep! In walking distance of the Neustadt is a large local recreation area with the Werdersee at its core. The bathing lake with its sandy beach is a popular meeting point in the summer months. The expansive lawn is perfect for sunbathing and sport activities. The Werdersee is a part of the kleiner Weser (little Weser) that streams together with the big Weser at the Stadtwerder. Culturally, the Neustadt has lots to offer! 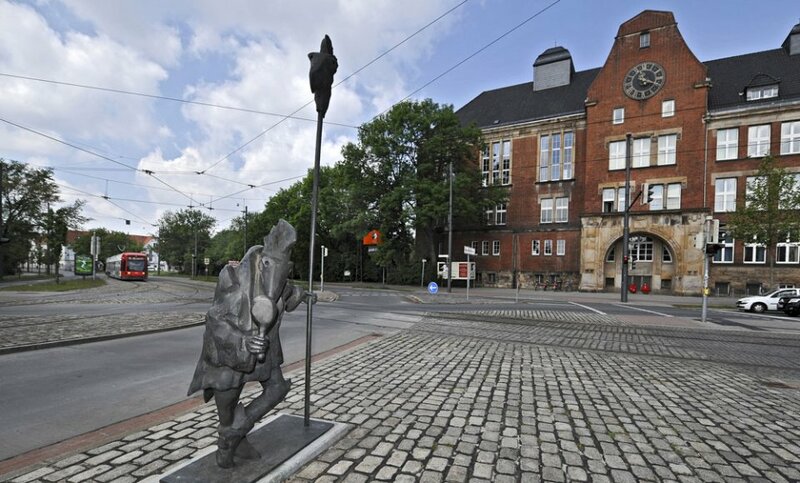 In addition to established institutions like the Schwankhalle, the Weserburg – Museum of Modern Art, the Shakespeare Company, or the Künstlerhaus Bremen, you’ll find culture centres and cafés like Kukoon or Karton. 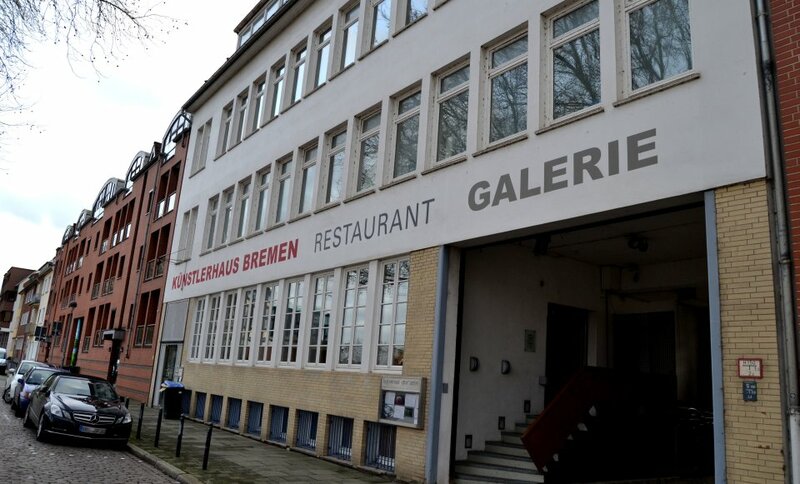 Smaller exhibition spaces such as the Städtische Galerie are also based in the Neustadt. Night owls love to go to the Modernes, a concert and dance venue, after a Neustadt pub crawl. 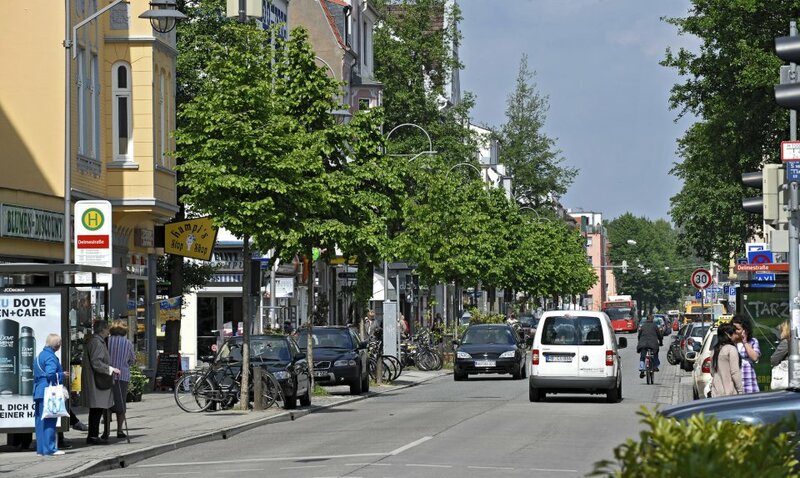 The Pappelstraße in Neustadt pulsates with life! Alongside typical supermarkets, you’ll find every kind of speciality store - wine, cheese, fish, and tea, to name a few. You can have dinner at one of the many restaurants offering ethnic cuisine, and in the summer months, sit at an outdoor table at one of the ice cream parlours. And those in desperate need of a haircut will be spoiled for choice with the number of stylists in business on the Pappelstraße. Discover the Art of Brewing and Zero Gravity! 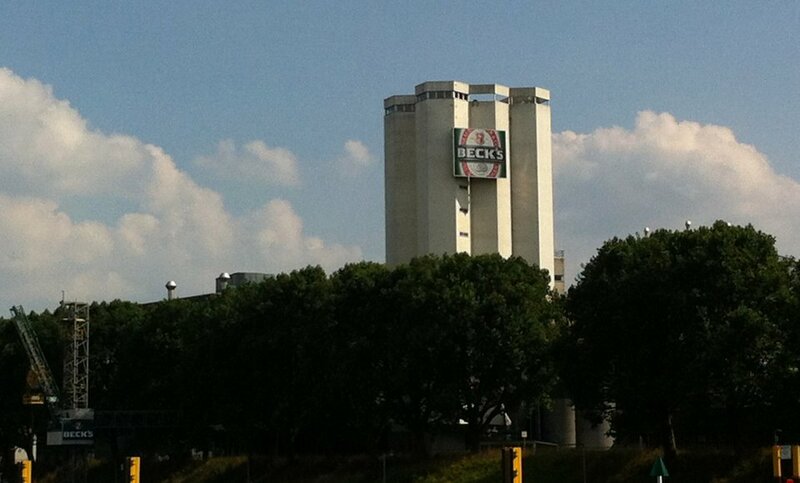 Straight outta Neustadt into the whole wide world: Beck’s beer. In 120 countries around the world, 50 bottles of Beck’s top-quality produced beer are consumed pro second. The brewery on the shore of the Weser gives tours of their production hall throughout the year. Beer too down-to-earth for you? Then perhaps a space station tour at Airbus may be just the thing. 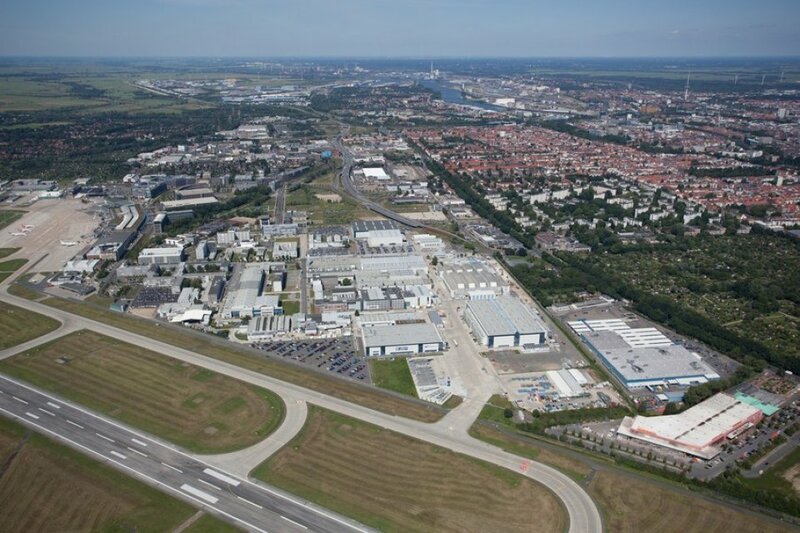 With approximately 3,000 employees, Bremen-Neustadt is the second largest Airbus location in Germany. 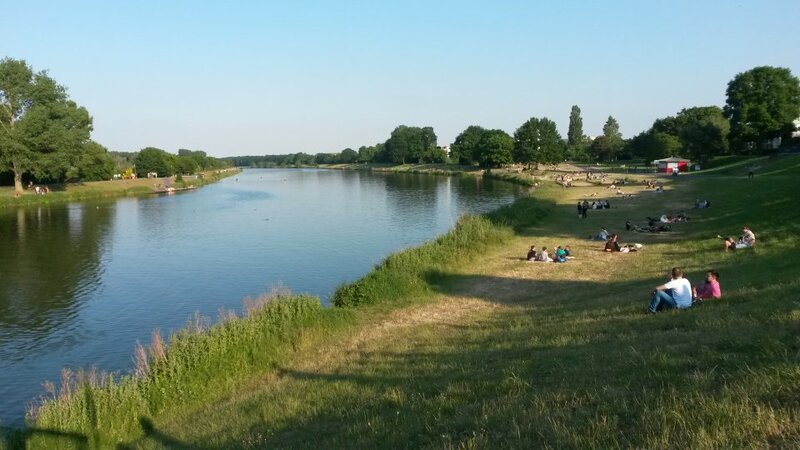 Enclosed by the großer and kleiner Weser (big and little Weser), this peninsula lies in the heart of the city. 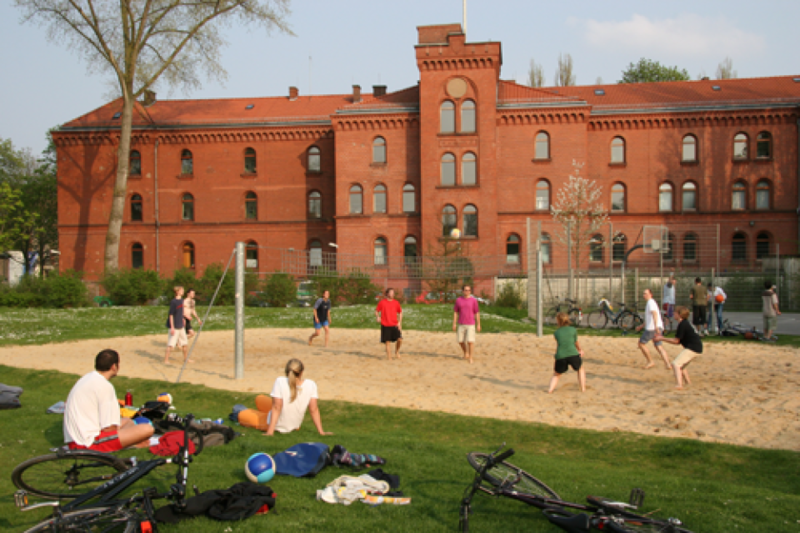 A large territory of land, the Stadtwerder creates a huge local recreation area, with plenty of green space and opportunities for swimming in the Werdersee. A branch campus of the College of Bremen, Olbers-Planetarium, the GAK Gesellschaft für Aktuelle Kunst Bremen, and other Bremen institutions are also located here. 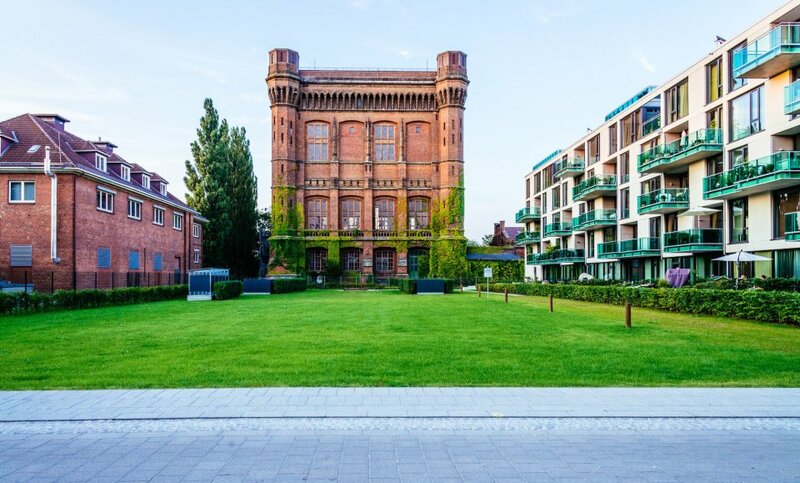 Additionally, there is some exclusive housing on the peninsula at the Teerhof and around the "umgedrehte Kommode" - Bremen’s oldest water tower. 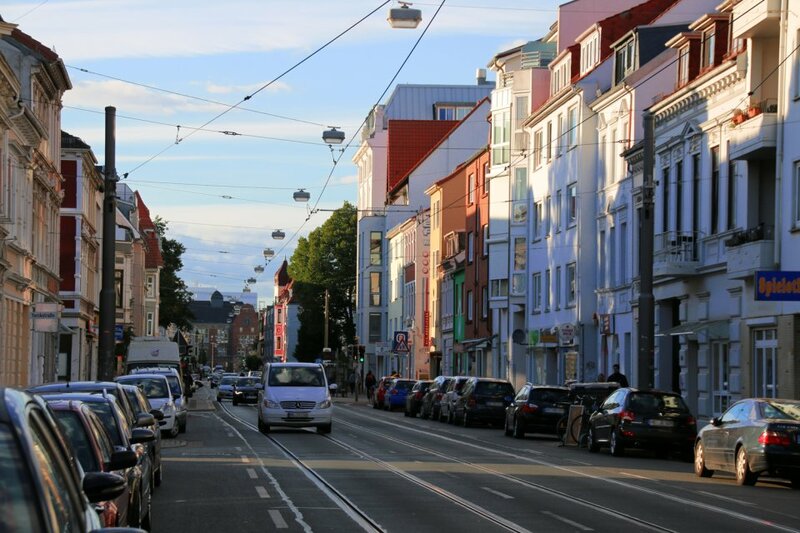 Picturesque streets can be found throughout the Neustadt like, for example, in the Flüsseviertel (where the streets are all named for rivers). Here there’s row after row of Old-Bremen houses, which were widely built until 1930. 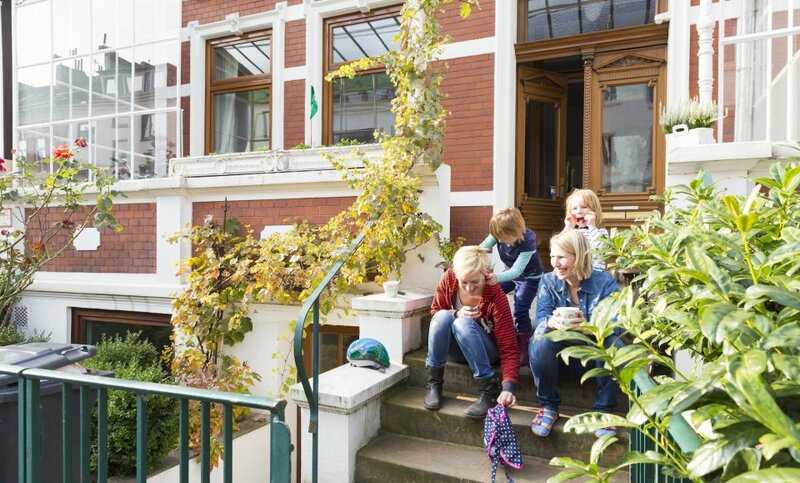 With their front gardens and small verandas, they offer a glimpse into Bremen’s architectural history. In springtime, many of the streets are a blooming ocean of colour. A wonderful place to take a stroll on a sunny day. 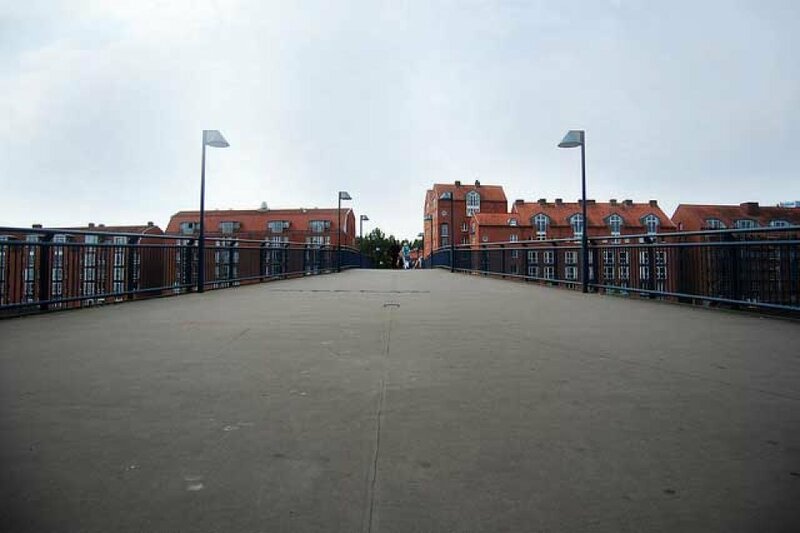 Fans of a good walk in some greenery will enjoy themselves in the Neustadtswallanlagen. 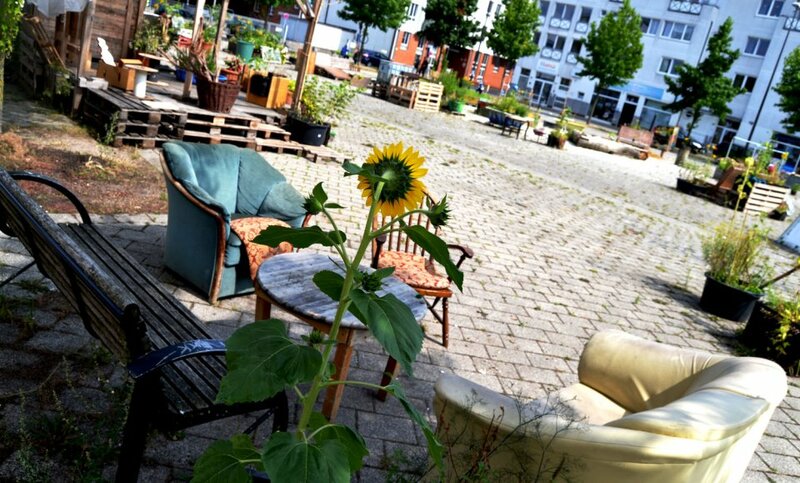 This "green lung" stretches along the Neustadtcontrescarpe in the middle of the neighbourhood. The park offers sport and play areas, wide expanses of lawn, and a small hill. 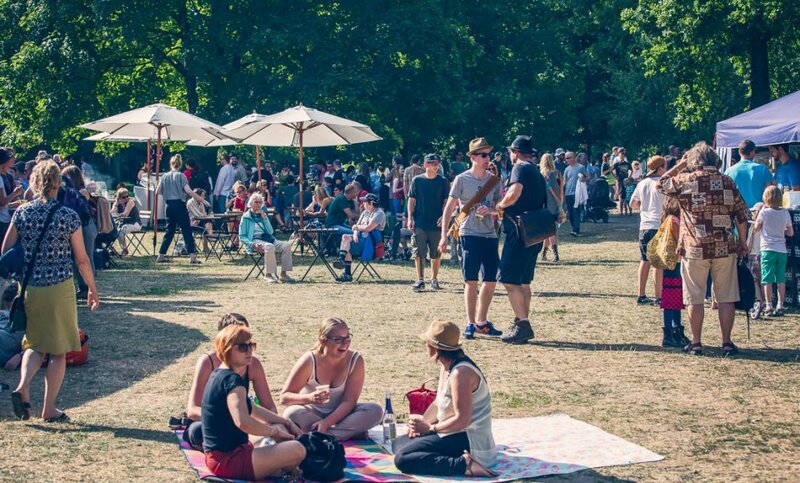 Every August, the Wallanlagen hosts Summer Sounds, a festival with local projects and bands. Especially in the cooler months, the indoor Südbad pool is the central meeting point for all swim and splash fans. The 25-metre pool provides a great opportunity for fitness, while the 60-metre-long slide promises plenty of fun and speed. There’s an early morning swimming club with special rates for early birds. Additionally, many courses are offered and there is a sauna landscape to enjoy. 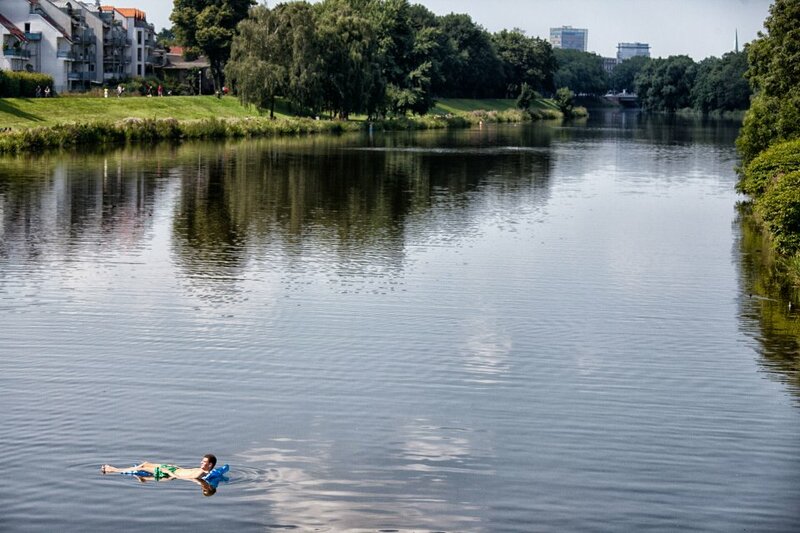 More information about Bremen swimming pools and lakes is available here. The Delmemarkt is a central place in the heart of the Neustadt. 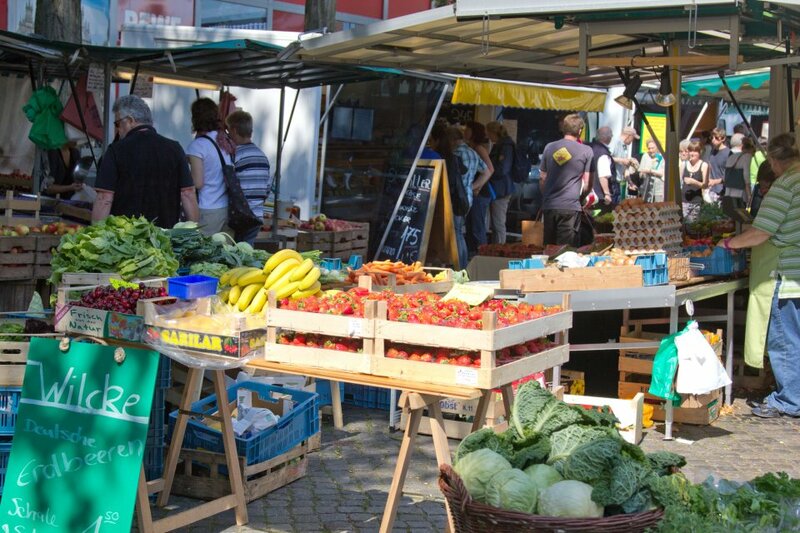 Held in the middle of the lively Pappelstraße, this is not just a farmer’s market, but also a meeting point for the residents of Neustadt. There are even books to browse through here: The Bürgerstiftung Bremen has set up a well-filled book exchange bookcase replete with seating. 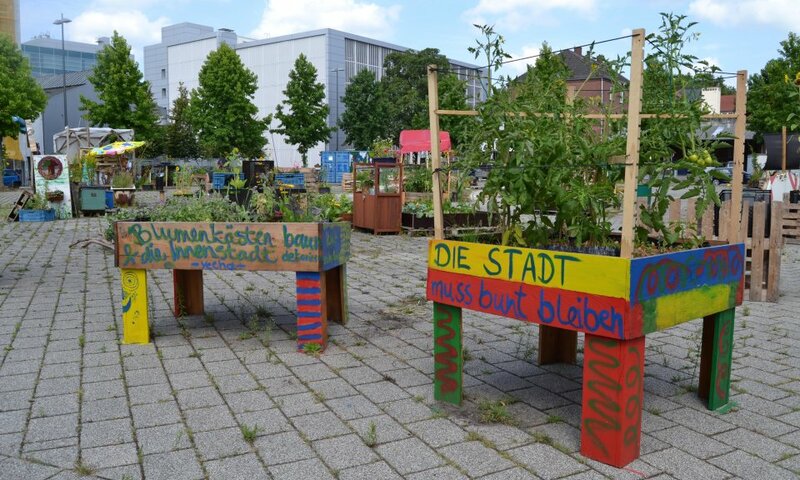 The Lucie-Flechtmann-Platz on the Westerstraße was nothing more than a concrete jungle for ten years until the summer of 2013, when a residents’ intuitive turned it into an urban garden. Now the "Lucie" is a place for young and old to come together and garden or enjoy other activities. At the end of 2015 the de-paving of the Lucie took place, realising the main objective of the organisers. The Lucie represents a prime example of successful grassroots democratic participation and citizen-driven urban development. 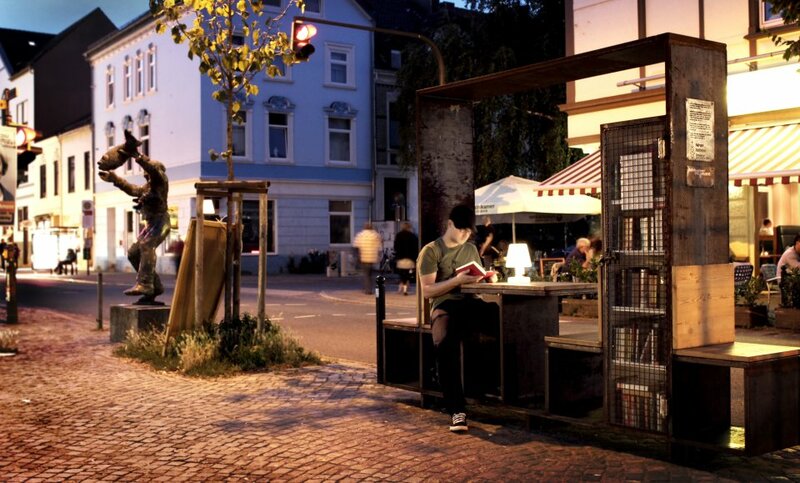 While his big brother in the inner city is visited and admired by numerous tourists every day, the "little Roland" in the Neustadt enjoys a quieter life. At one time, residents of Neustadt had limited citizenship rights. In 1737, as an expression of their pride and independence, they erected a - much smaller - copy of the original. 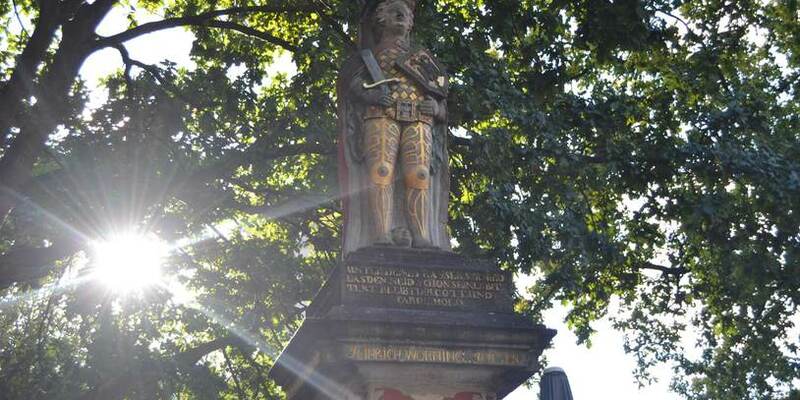 Since then, the little Roland atop a pedestal adorns the fountain on the south end of the Neuer Markt in Old Neustadt. Encircled by cafés and restaurants, this spot in the Neustadt is a hidden gem waiting to be discovered.